A few weeks ago I discovered these nail stickers from Sephora. I bought them out of curiosity as I’ve never tried this kind of manicure before. One morning I was in a really big hurry as I was heading for a meeting and I didn’t have time to do my nails, so I turned to the stickers. It was the perfect moment to try them. I did, they looked really great and I finished my manicure in about 25 minutes. They don’t last 11 days like they say on the package, but about 7 days, which is ok. 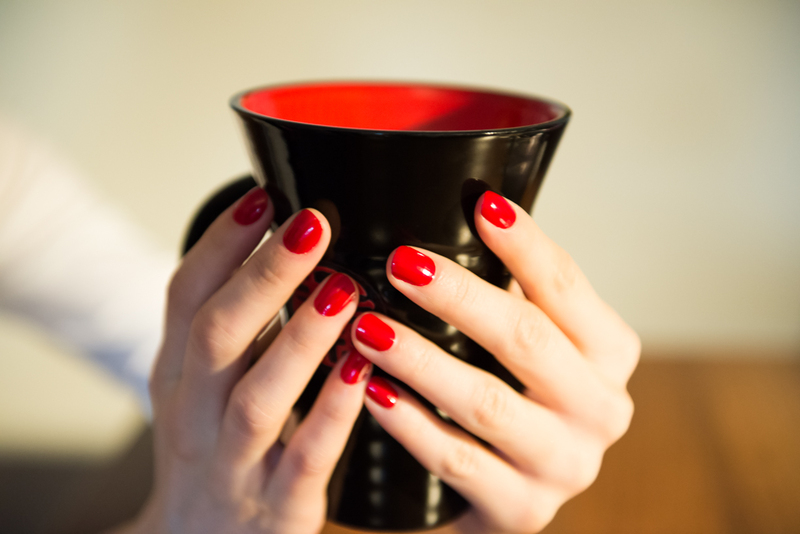 The biggest advantage is that you have a clean perfect mani and you are ready to go in let’s say 30 minutes . Because I liked the idea, I wanted to share it with you. I bought another package and did this photoshoot to guide you through the whole process. 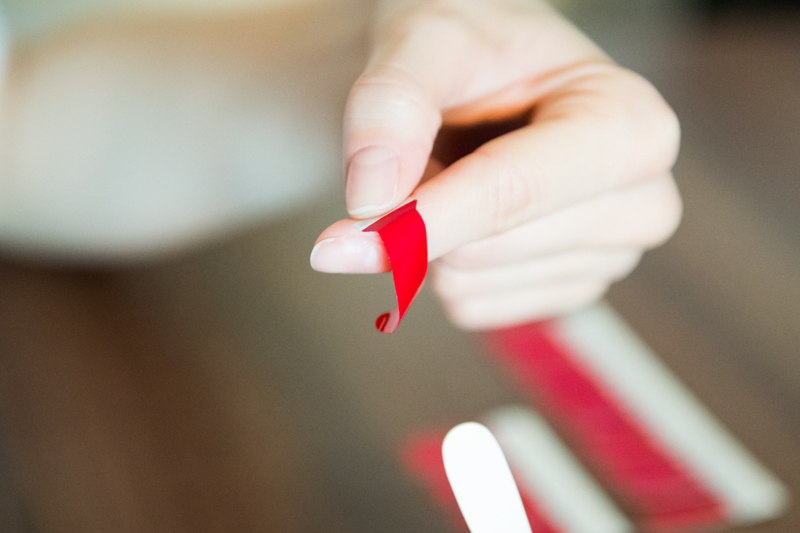 Cut a nail patch and place it on your nail to discover the right size, without removing the protective strips. 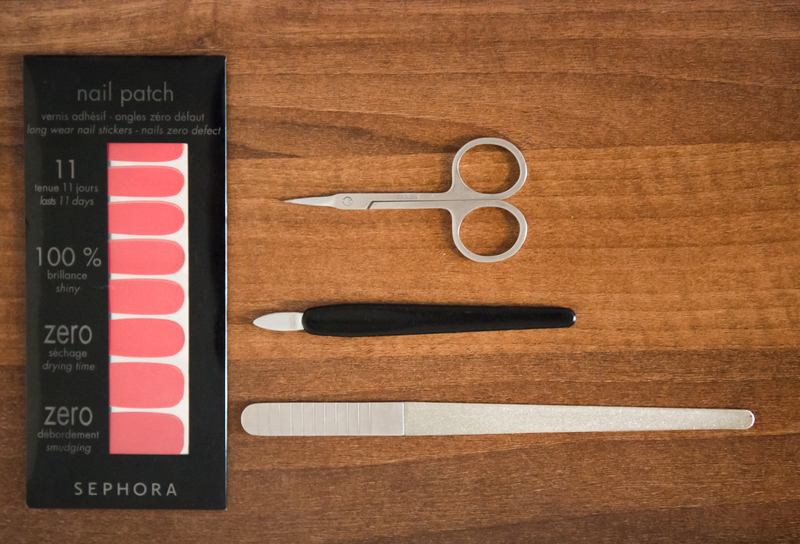 Each package contains 16 adhesive nail stickers to fit all nail sizes. Pull off the protective strips to reveal the actual nail patch. Hold it by the silver strip and place it at the nail base first. Make sure it is centered. You can carefully pull it off and reposition without damaging the sticker. Smooth nail surface with your finger. Start from the center of the nail and move to the sides. Cut the excess strip a little bit closely to the nail, to make the finishing touches easier. Remove the surplus by folding the sticker under the nail. It tears away easily. And you’re done!…with the first nail 🙂 Continue with the rest of them and voila. To remove them, just use the traditional way, with solvent. Very nice. But how do you take them off? The traditional way or by peel-off? Good point! I forgot to mention that you remove it in the traditional way, with a solvent. Thanks for asking Ingrid; I’ll add it to the article.